There are few individuals that possess both the knowledge and expertise to guide others toward their weight loss goals, paired with the culinary acumen and confidence of a seasoned chef. Sherrill Kelley has been cooking all of her life and has spent almost a decade teaching our patients and clients how to use food to fuel, sculpt and transform the physical body. Let Sherrill teach you how to navigate the ins and outs of the food world, so that you take control of your day-to-day nutrition. Tap into Sherrill’s knowledge and experience, and learn just how simple it is to eat great, while fueling your body better than ever before. The fact is, what many people feel is ‘healthy eating,’ is just plan the wrong direction, where eating to lose weight and get fit is concerned. 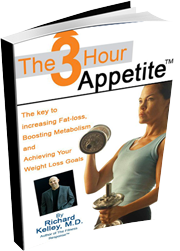 Let Sherrill take you by the hand and give you the ‘lowdown’ on how to eat to lose weight. It’s much simpler than you may believe…..but not many people do it. 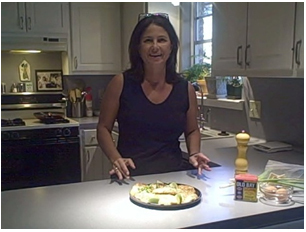 Let Sherrill teach you how to take control of you and your family’s nutrition. 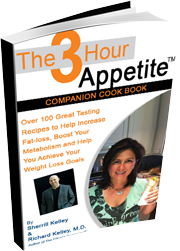 She will teach you how to simplify the process of making good food choices and show you how to fuel your body in a manner that leads to better health and a slimmer waistline. Are your kitchen and the foods you consistently find in it, helping you or hurting you, as you journey to improve your health, lose weight and change your body? For most of us, the refrigerator and the kitchen pantry, hold the very items that will dictate either success or failure in the arena of weight loss. 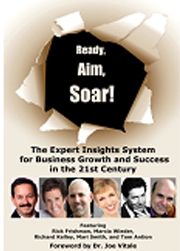 Let Sherrill makeover your home food environment, so that it becomes a portal to your success. Where losing weight are concerned, it all begins and ends with the products and foods that you allow in your kitchen. The more you understand the foods that you allow into your home environment, and how they may be affecting you, the more that you can do to take control of your ability to lose weight and reshape your body. Let Sherrill tear your kitchen apart with tact and kindness and show you how to turn your home food environment into an asset instead of a liability, where your health is concerned. 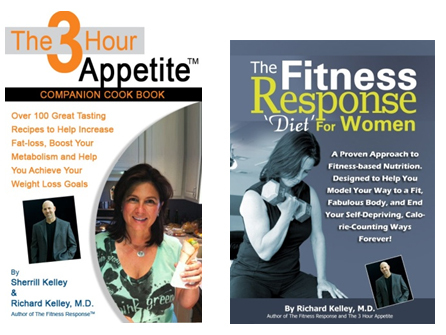 Let Sherrill Kelley, co-author of ‘The 3 Hour Appetite Companion Cookbook,’ and ‘The Fitness Response ‘Diet’ for Women,’ teach you how to cook healthy, nutritious meals for you and your family. 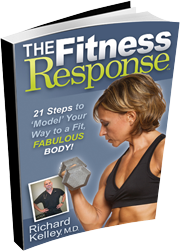 Sherrill has coached literally thousands of men and women on the finer points of healthy, fitness-based cuisine and how to prepare the best food possible. Sherrill’s relaxed and easy-going style will make you feel comfortable and give you the confidence to know that you too can be a pro in the kitchen. Individuals - $125/hr. Call for Group pricing rates. Your local grocery contains a treasure trove of the good, the bad and the ugly, nutritionally speaking. Learn to navigate your favorite local shopping haunts, isle-by-isle and return home with what you truly need to nourish your body and your soul. Learn how to gather the most nutritious and delicious food products available, while steering clear of foods that may be taking a toll on your health. Undercover Grocery Tour: Individuals - $125/hr. Call for Group pricing rates.